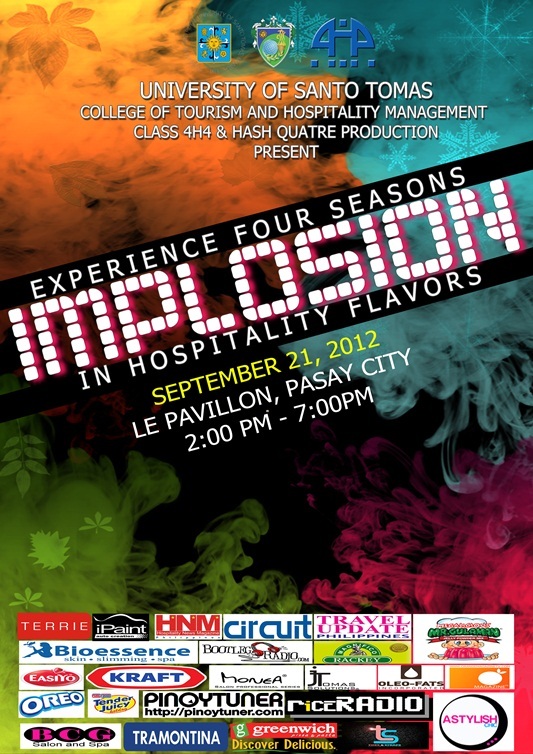 This event is bursting on September 21, 2012 from 2:00-7:00pm at Le Pavillon, Metropolitan Park, Pasay City. Enjoy delicious food prepared by UST HRM students exclusively for this event. Tickets are sold at Php 550 only. For ticket selling and other details, kindly contact Ms. Tiffany Baduel at 09178344299. Good luckk on your event!! Mukhang okay ang event but I just attended the Ultimate Taste Test so wala na kong budget for this.